Prosecutor Misconduct Can Change the Whole Dynamic of a Criminal Case. Prosecutorial misconduct can lead to many problems. 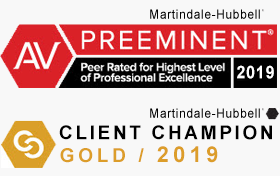 It is important that you have a highly skilled criminal defense attorney represent you that is not afraid to confront a prosecutor that has done something wrong or prejudicial to your case. In the recent case of US v Collins (decided August, 2015), Mr. Collins was charged with participating in a methamphetamine conspiracy. At the trial of the matter the prosecutor presented a cooperating witness who testified that he sold drugs with Collins throughout 2009. This was a mistake because Collins was in jail for part of 2009. The defense attorney objected and was overruled by the court. However, on cross examination defense counsel was able to show that Collins was incarcerated during the time period the witness claimed he was dealing drugs with Collins. Collins was convicted. There was an appeal. The appeal argued that the prosecutor committed misconduct by false testimony. The appeals court determined that the in order to establish prosecutorial misconduct by false testimony, the defense must prove (1) the testimony was false, (2) the testimony was material, and (3) the prosecution know it was false. The court determined that the testimony was false and the prosecutor should have known that. However, defense counsel was able to effectively cross examine the witness on that point. The court found the prosecutor’s conduct “highly troublesome”, but not amounting to denial of due process because of defense counsel’s cross examination. Conviction was affirmed. Although Mr. Collins was convicted, he was lucky to have a competent defense attorney who was able to determine the prosecutor made an error and was immediately ready to step up and correct it as best they could. There are some attorneys that would have missed that completely, or have caught the prosecutor’s misconduct and not know what the do about it. This is why you need the best criminal defense attorneys you can find if you are facing criminal charges. 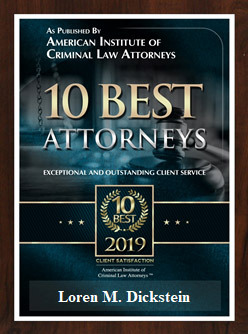 It Takes A Well Trained and Highly Experienced Criminal Defense Attorney To Catch Mistakes and Be Able To Correct Them In Order To Protect You. Trials often move fast. Attorneys that do trial work are required to think fast and often change directions on a moment’s notice. This is a skill that takes years to develop. Not all attorneys are cut out to be trial attorneys. Not all attorneys have the fearlessness to challenge a zealous prosecutor or an aggressive police officer in order to protect the client. The attorneys at Lewis & Dickstein, P.L.L.C. 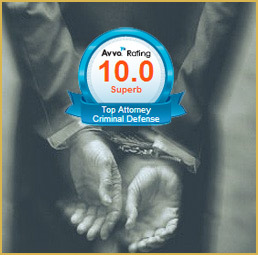 are the attorneys who have the experience, skill and bravery to protect you at trial. The firm’s attorneys have decades of courtroom and trial experience. 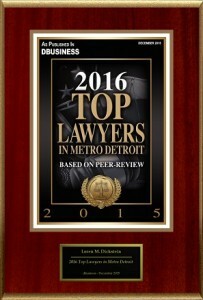 The firm is proud of the accomplishments of its attorneys and their reputation for success. If you want an attorney who will protect your rights and make sure you have a full and fair courtroom experience call LEWIS & DICKSTEIN, P.L.L.C. at (248) 263-6800 with questions, or complete a Request for Assistance Form and one of our attorneys will contact you. We look forward to hearing from you and being of help.